Tax problems from non-compliance with Report of Foreign Bank and Financial Accounts (FBAR) can arise is a variety of ways and through a variety of behaviors. FBAR violations can arise through intentional acts, carelessness or merely being unaware of the obligations that may apply to you. For instance, an individual may not realize that an account held by a familiar financial institution is considered a foreign account if it is held at foreign branch. Other individuals may not be particularly conscientious about their foreign accounts and their account balances may tip past the reporting threshold without them noticing. In still other situations, the individual may have received letters or notices from their bank, but mistakenly thought that they did not apply to them due to their residency in a foreign country or for other reasons. Failure to comply with FBAR reporting rules can result in severe civil or criminal penalties. While disclosing past noncompliant acts may result in some consequences, these consequences are relatively mild compared to those that may be imposed should you matter be referred to the IRS Criminal Investigation Division. The Brager Tax Law Group is committed to assisting US taxpayers in Los Angeles and around the world with their FBAR compliance concerns and other tax problems. What Does FBAR Reporting Require From a Taxpayer? FBAR reporting requirements were established by the Bank Secrecy Act (BSA). The BSA requires US taxpayers to disclose foreign financial accounts that they hold an interest in or signature authority over if the accounts exceed a specified balance. The reporting obligation is triggered when, at any time during the tax year, the balance in the account or the aggregate balance across multiple accounts exceed $10,000. It does not matter that the account balance exceeded $10,000 for only a moment or that the account or accounts were only slightly above the reporting threshold – the FBAR reporting requirement still applies. FBAR can only be reported by taxpayers online through the BSA’s e-filing portal. There, a taxpayer can complete their FBAR disclosures via FinCEN Form 114. Of special note are expatriates in foreign countries like the United Kingdom, Canada, and China. While you may not be physically present in the US and concerns regarding the US government may seem remote, the IRS retains jurisdiction over US citizens and green card holders regardless of where you live or in what country your money is earned. Thus if you are a US citizen or green card holder it does not matter if you are in Los Angeles or London, your tax obligations still exist. Expatriates must also comply with FBAR disclosure requirements or face serious penalties. What are the Consequences of FBAR Compliance Failures? If you are aware or suspect that you may have made a mistake in your FBAR filings, you are already paying the price of noncompliance: anxiety and uncertainty about how much you will eventually owe the IRS or whether you may eventually face a prison sentence. However, if you continue to fail to take action, these issues will constitute only the beginning of your troubles. Where there is failure to disclose a foreign account under FBAR, you could face charges based on whether the IRS believes your failure to be willful. A willful failure occurs when there is an intentional or voluntary violation of a known legal duty. The IRS interprets this definition rather broadly. For instance, if a taxpayer attempts to avoid learning about their reporting obligations – he or she may be deemed to be “willfully blind.” Under certain court rulings a taxpayer who is willful blind will be deemed to have acted willfully, and will be exposed to willfulness penalties eve if the taxpayer was actually unaware of the existence of the FBAR requirements. Depending on the duration of the noncompliance, willful FBAR penalties routinely exceed the original balance contained within the account. For each violation, a penalty of the greater of $100,000 or 50% of the account value can be imposed. Since there is a 6-year look back period, penalties can quickly escalate into the hundreds of thousands or millions of dollars. If your FBAR noncompliance is deemed to be non-willful, penalties are still harsh. Every account that was not disclosed and for each year it went undisclosed can be punished with a penalty of $10,000. 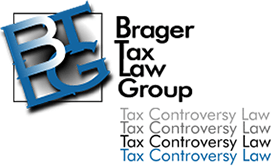 The tax professionals of the Brager Tax Law Group are dedicated to resolving the tax and FBAR problems of US taxpayers. Before you take any action regarding your tax concerns, speak with one of our knowledgeable and experienced attorneys by calling us at (800) 380-TAX LITIGATOR, or contact us online today.